In Sahra Jaamac’s home country, girls marry at a very young age – her younger sister got married at 16. 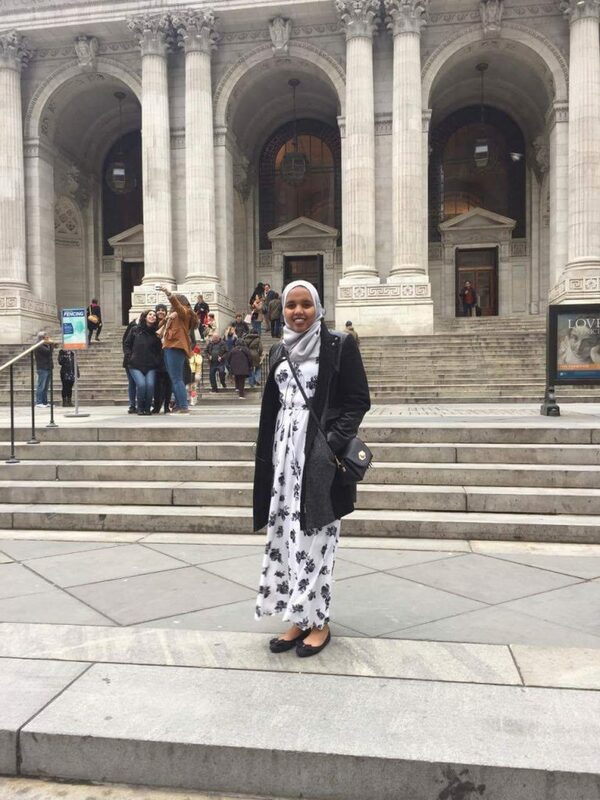 But this fall, Sahra is headed back to Brandeis University to start her sophomore year studying Neuroscience. 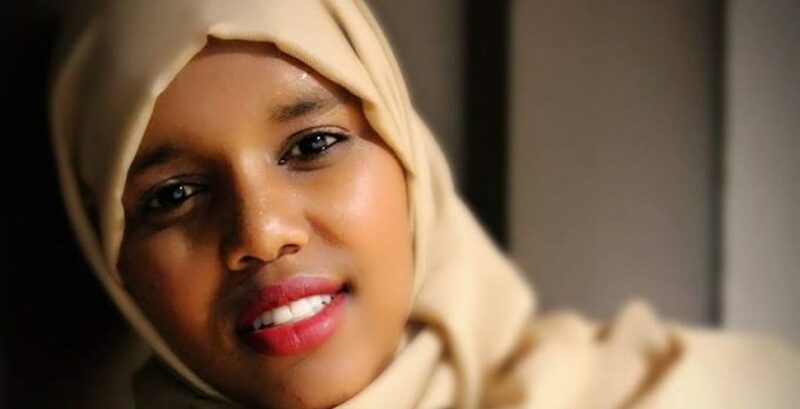 A former student of the Abaarso School that was founded by an ex-hedge-fund analyst to prepare kids in Somaliland to study in the US, Sahra shared her story with us. I’m from a town near Hargeisa called Gabilay. My family is very large as I have seven half-siblings from my father and six siblings from both my parents. My oldest sister is married and has five children and my younger sister is also married (she is 18 now but got married at 16). I’m not married because of education. I’m pretty lucky though because my family gave me the choice. Both my parents are not educated, they didn’t go to school. My dad knows Arabic because he studied the Quran but that’s it. He was the one who motivated me to go to school. When I was young my mom didn’t want me to go to school, not because she didn’t want me to be educated but at that time it was a bad thing to send your daughter to school. She was just following the norms. My dad convinced her and that’s how I went to school. Even when I didn’t know Abaarso, I still had hopes to go to college. My goal was to do very very well in school to go to college outside of Somaliland. How did you end up at Abaarso? Did any of your siblings go to college? I had to take the 8th-grade national examination, those who fail do not go to high school. Basically, the exam determines if you are qualified for high school or not. I had the best scores in all of Somaliland, it was the first time a girl was a number one student. I wanted to go to a boarding school that was much better known than Abaarso at the time but in the ended up selected to Abaarso. I am the first of my family to leave the country and study. My older half-brother went to college but dropped out so as of now I am the only one of my siblings who is going to college. I am hoping that two of my younger siblings will go to Abaarso. I have to consider the financial situation though. There are people that are much worse off than us so I want to make sure that the people who really need a scholarship are able to get it and I will help my sisters as much as I can. When did you first come to the Unites States? What surprised you the most when you came here? I went to the US before I went to Brandeis. During senior year of high school thanks to an Abaarso program, I went to an all-girls school in Virginia called Chatham Hall and I applied to college from there. As to what I found most surprising, I’d say: using forks. Honestly, before I came to the US I used a fork once when I got into the program when there was an event for students going to the US. In fancy hotels in Somaliland, they have forks but I never practiced how to use it, because it requires skill. I always ate with my hands, no one uses forks. I would go to a formal dinner and everyone would be quiet and I would try to use the fork and it would fall on my plate and make a very loud noise. People who were eating with me couldn’t believe I didn’t know how to use a fork. It was so embarrassing but at the same time so shocking. You mentioned your sister got married very young. Is that very common in Somaliland? Yes, it is very common. The reason is that no one motivates girls to go to school or be educated even if they have the option to, still, no one is going to bother. If you are a girl who grew up in a family where her mom is not educated and neither are her friends, their biggest goal is getting married. It’s the only thing they can aspire to in my society. When you grow up in an environment like that, it affects you. It is easy to drop out because no one sees girls going to school as an important thing. For boys, it’s something that they have to do. Parents will always insist that boys go to school and they will make sure they attend every class. For example, if one day your family needs help at home to take care of a kid or clean it’s ok for the girl to stay home and miss class and the family won’t see it as a big deal but for the boy he’s not allowed to skip class, even if he wants to. They think that for the boy it will damage his future. What would you say to girls back home? What did Abaarso teach you? Believe in yourself. Whatever you do, do it for YOU. As a young girl, I wanted to be educated although I grew up in a society in which women are not educated. I wanted to do something different. I wanted to stand out and to do something girls hadn’t done before. Most of the time, men misuse religion so that women can be oppressed. Sometimes when I argue with men or point out my opinion they will say I am a bad Muslim. It doesn’t change what I believe and the relationship I have with God. To be honest, girls who went to Abaarso are so lucky, including myself. We learned so much there, we could compete with boys and can always determine our future. I have so many friends who have gone through so much to get educated, it’s unbelievable. I am lucky I was born in a family who believed it was important to respect their children’s choice.